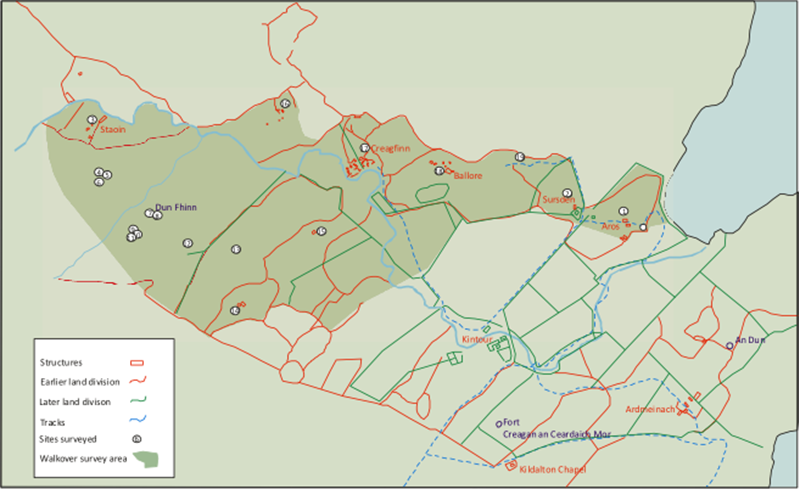 The Kintour Landscape Project is an initiative by Islay Heritage to learn more about Islay’s past of the Ardtalla region in the SE corner of Islay, especially in the landscape around the Kintour River. The focus is on the historic period, beginning with Dun Fhinn, most likely first constructed in the Iron Age, and continuing through a series of deserted settlements and townships that were occupied up until the late 19th century. This project is being undertaken in partnership with Kilmartin Museum, and supported by a funding donation from the Ian Mactaggart Trust. 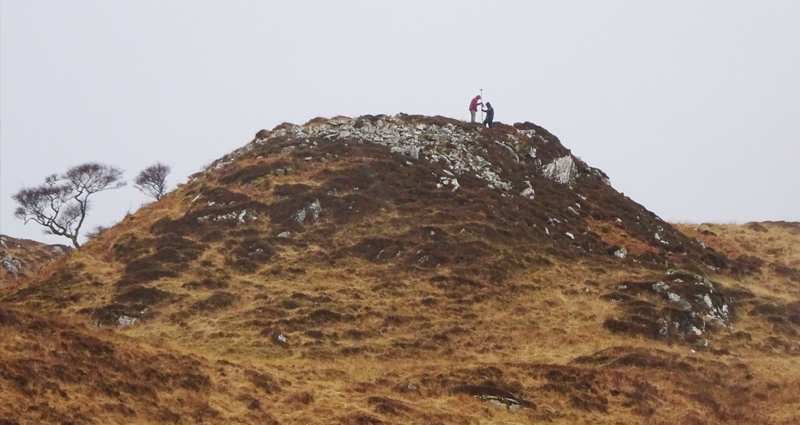 The first stage was an archaeological survey undertaken in April 2017, led by Roddy Regan of Kilmartin and with student and local volunteers. This surveyed Dun Fhinn and a series of settlements including Staoin, Creagfinn and Balore. A report of the survey can be found here ‘Kintour Landscape Survey Report’ and was summarized within an Islay Heritage Lecture Forgotten Lives of the Ileach. The next stage of the project is currently being planned, and hopes to include test excavations at Dun Fhinn and several deserted settlements to establish their chronology.